Hope you’re all having a great week and are accustoming yourselves to the cooler temperatures which have swept across the UK. There’s definitely a chill in the air and I’ve already purchased my first cosy scarf in preparation for Fall and the Winter months. 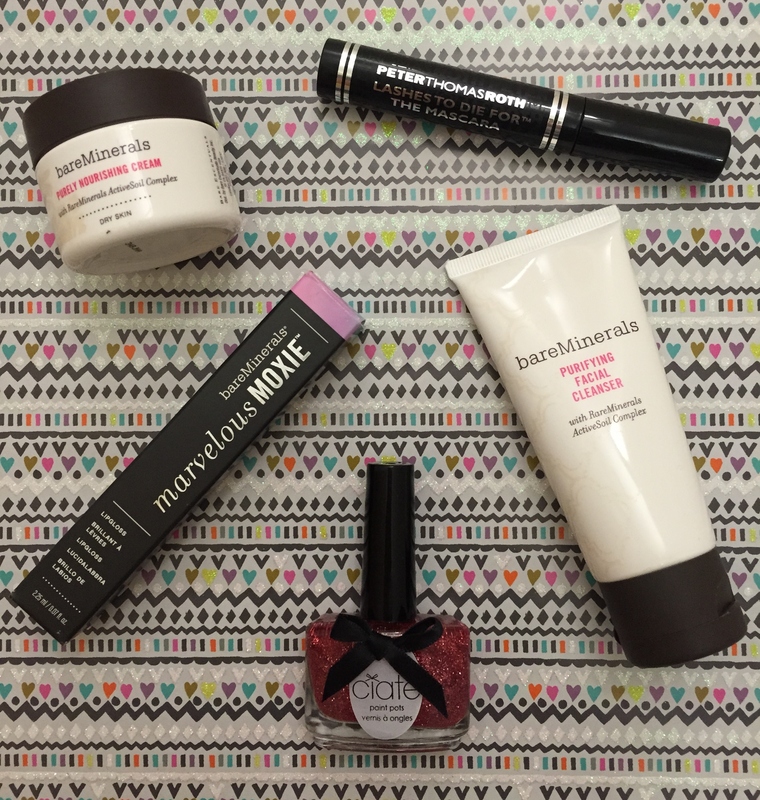 However on the bright side, I’m extra happy as the October Cohorted beauty box has arrived, yay! This month contains a lovely selection of skin care and make up from high quality brands, although mainly from Bare Minerals. I was quite relieved that there was no eye shadow palette this month. I mean don’t get me wrong, I do LOVE them however it makes a nice change to see more beauty products in the box which at times can be more beneficial. Plus it mixes it up a little which I prefer. 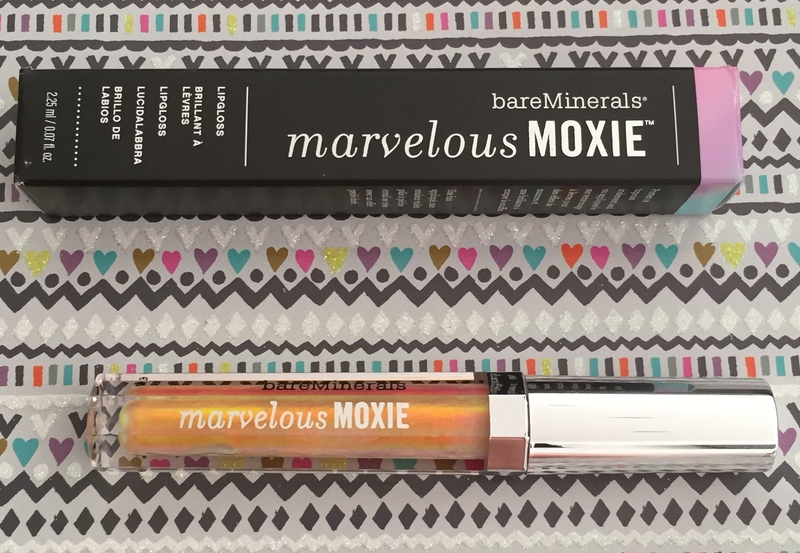 The first product that caught my eye was the Bare Minerals Marvelous Moxie Lipgloss in Hypnotist. The colour looks holographic and I was surprised that the actual product is this colour, not just an effect on the packaging. It has almost every shade in the colour spectrum! It can be worn alone or layered over lipstick as a top coat for colour shifting effects and a knock out shine. It was quite daunting to apply however the colour shifts from yellow on the applicator to a pale purple and then finally a gorgeous coral peach with a golden pearl shimmer. It has a fruity fragrance which reminds me of sweets or fizzy juice, I can’t quite put my finger on it. It’s a non sticky formula, so not like most glosses out there. It feels quite light and thin so there’s no way have the dreaded gloop on your lip line. I think this product is completely awesome! 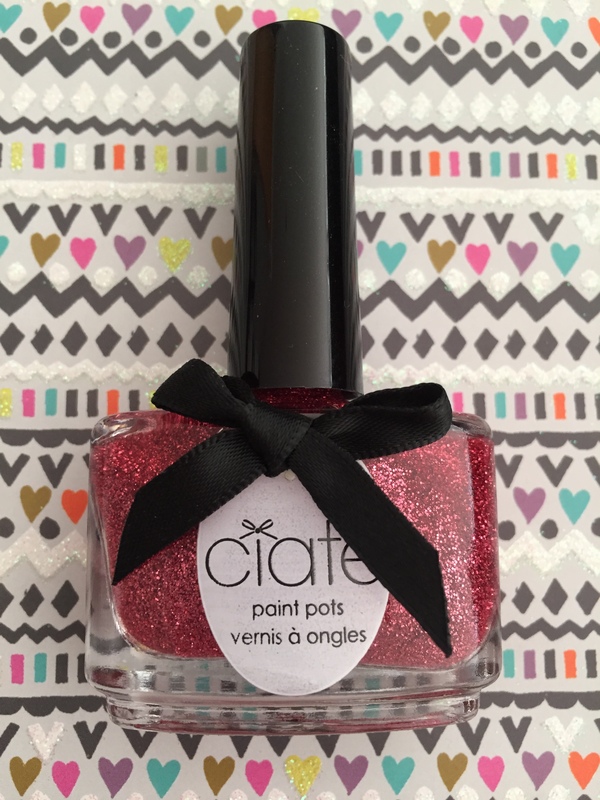 Next up in the Ciate Nail Polish in Serendipity. This to me screams Christmas glam in a bottle! This is a glittery pinky red nail polish which is perfect for the festive season or adding a pop of effortless chic to any outfit. 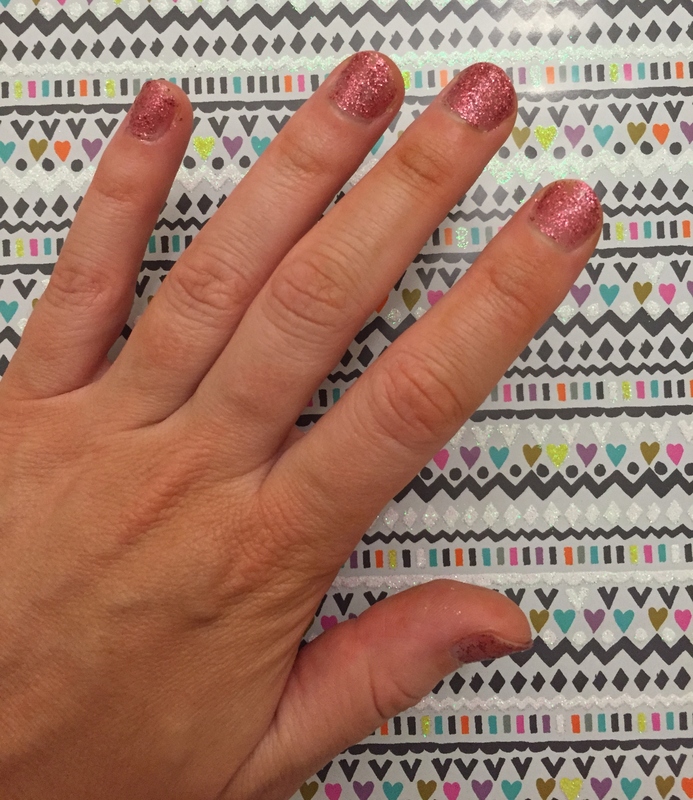 Usually with glittery polishes, it takes three or four applications before you have enough glitter on each nail. However with this polish, I applied one application and it was as though I’d applied 10 coats! The brush is wide and glides perfectly across each nail, which avoids getting polish on your skin. Very easy to apply and quick drying. I love the packaging of the Ciate nail polishes. The bow adds a certain girly glamour and looks amazing on your dressing table. I love trialling out new facial cleansers as it’s something we all use twice daily. 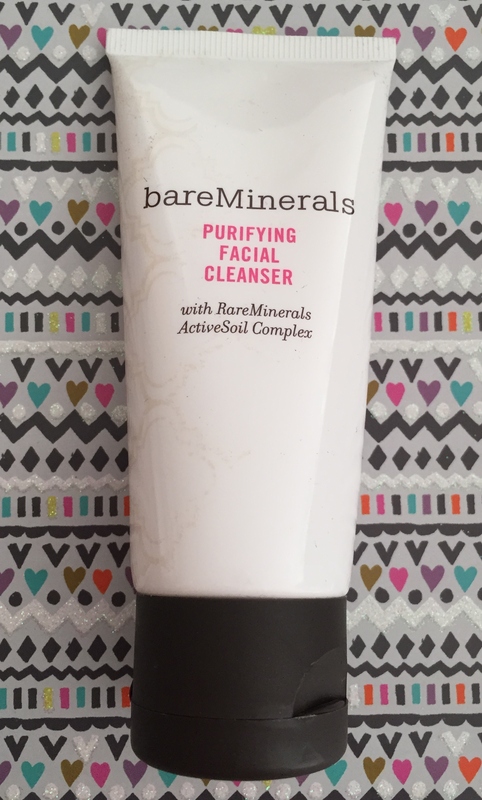 This is a gentle, purifying cleanser which contains a 100% pure Raw Minerals Active Soil complex. What that means is that this formula removes makeup, dissolves impurities and re-balances skin for a soft, smooth complexion. My skin was left feeling clean and instantly hydrated. The product has a faint lemon scent. It doesn’t froth up however it removes even the most stubborn mascara. Perfect! I liked that the next Bare Minerals item compliments the facial cleanser and so it forms part 3 of the daily cleansing routine. 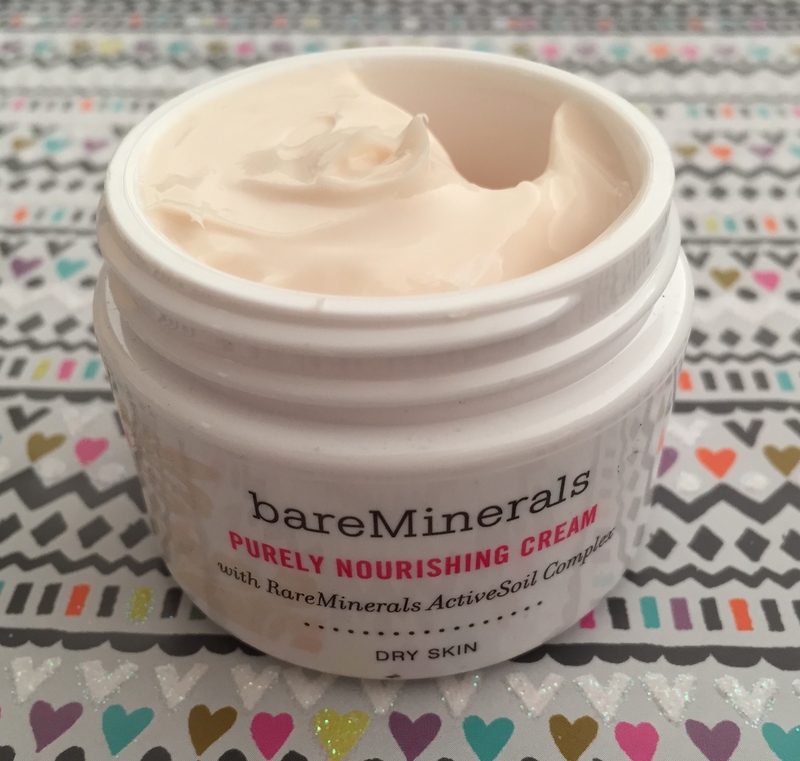 The Purely Nourishing Cream also has the same 100% pure Raw Minerals Active Soil complex. It is a luxurious rich cream which melts into the skin leaving it feeling soft and smooth. It’s non greasy and fragrance free. Over time it improves firmness, elasticity and texture. From using it a couple of times I noticed that my skin was looking more radiant. It can be applied morning and evening, and as a make up base. I teamed this up in the evening with my anti aging moisturisers just for added reassurance to keep those pesky aging lines at bay. 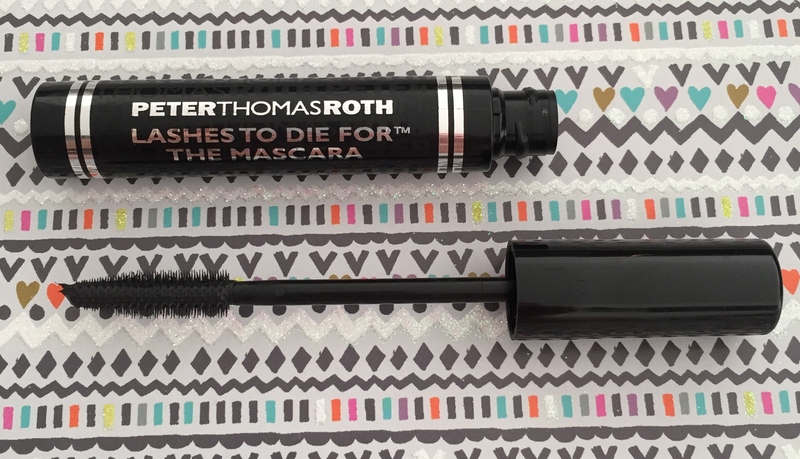 The final item was the Lashes To Die For Mascara by Peter Thomas Roth, in black. The comb is straight and catches all lashes when applying the mascara, even those hard to reach fine lashes at the corner of your eyes. It has an innovative comb technology where two specialised zones on the comb will lengthen and volumize lashes. I really liked this product as it doesn’t clump, it was very easy to apply and it did make my lashes look amazing. Very close to falsies in fact! This version isn’t waterproof so was easy to remove with some miscellar water. So that is everything within the box. Let me know whether you have tried any of these products and what your thoughts are. Also let me know your thoughts on the box and if you were fortunate to get one before they sold out. As most of you know, over the past few months it has been near impossible to get your hands on one of the Cohorted beauty boxes due to their ever increasing popularity. Thankfully they have finally decided to start a subscription service where you can choose either a beauty or fragrance monthly box. They also have four limited edition boxes out at the moment so you should take the time to check them out here. Loved the nail paint..How much does the box cost? And do they ship internationally?